I felt like doodling. 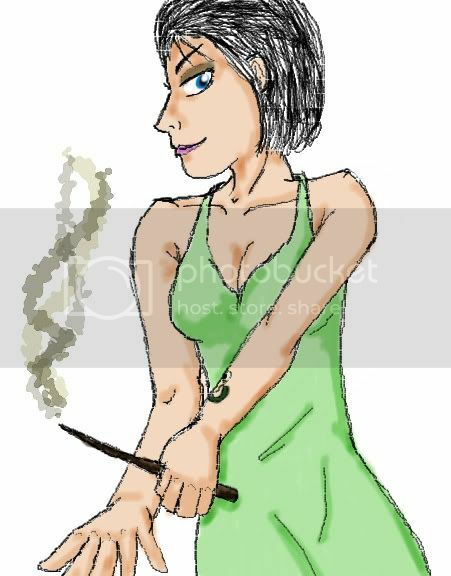 15 mins later I have a picture of an adult Pansy Parkinson in a nice dress waving her wand around. Cool. I seem to have butchered her anatomy though.